A 2017 Bugatti Chiron sold for a world record $4 million as the top result at the RM Sotheby’s Paris 2018 sale during Rétromobile week. 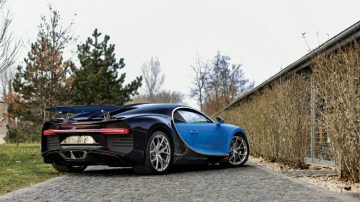 The top result at the RM Sotheby’s Paris 2018 classic car auction was €3,323,750 paid for a 2017 Bugatti Chiron – by far the highest price ever paid for this modern hypercar. 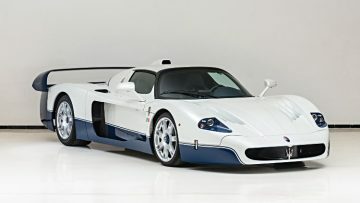 The second highest price was also for a modern supercar, €2 million for a 2005 Maserati MC12. Five cars sold for over a million dollar but the lead car, a 1953 Ferrari 166 MM Spider failed to sell with a highest bid of €3,450,000. RM Sotheby’s held its fifth annual Paris sale during Rétromobile week on 7 February 2018 at Place Vauban in Paris, France. In 2018, RM Sotheby’s earned €23,745,335 with a fairly strong 83% sell-through rate. In 2017, RM Sotheby’s achieved a gross sale total of €27,576,400 ($29,451,595) with a sell-through rate of 78%. In 2016, RM Sotheby’s grossed €19 million with a sell-through rate of 79%. Prices include auction premium. Sale in euro. Converted at €1=$1.23. Five cars achieved results in excess of a million dollar at the RM Sotheby’s Paris 2018 classic car auction. Somewhat ironically, for an auction taking place during Rétromobile week, the two top results were for 21st century hypercars. 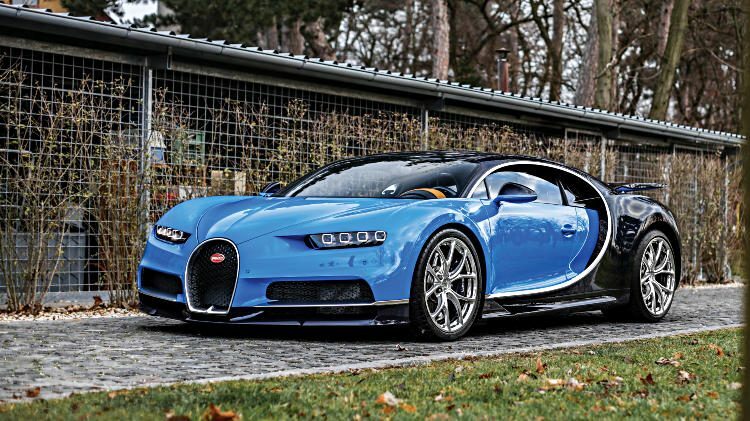 A world auction record was set when RM Sotheby’s sold a 2017 Bugatti Chiron for €3,323,750 ($4,088,212) as the top result at its Paris Rétromobile week 2018 sale. 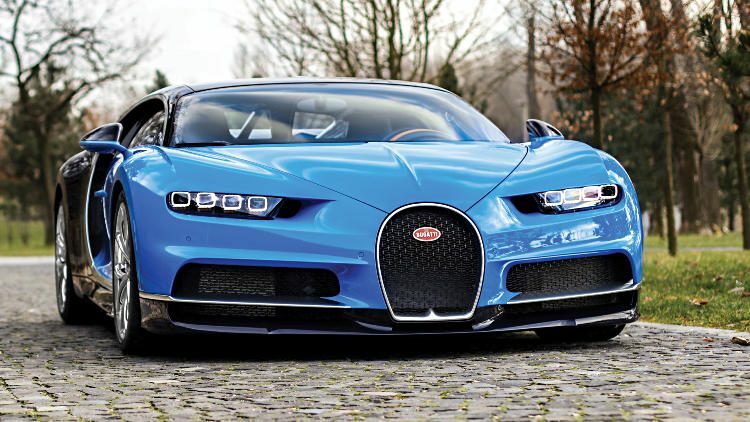 This Bugatti Chiron finished in two-tone Atlantic Blue over French Racing Blue is one of the first 20 cars produced. Although this was only the second Chiron ever sold at auction, the result was still impressive. The other Chiron sold at auction achieved $3,772,500 at the RM Sotheby’s New York sale in December 2017. The New York car was a never registered, US-specification car while the Chiron sold in Paris was in European specification and had 1,000 km on the clock. Mecum achieved a highest bid of $3.5 million for a 2018 Bugatti Chiron at the Kissimmee sale in Florida in January 2018 and will offer a second Bugatti Chiron at the Los Angeles sale in mid-February 2018. Mecum previously had the highest modern Bugatti auction record with $2,585,500 achieved on a 2015 Bugatti Veyron Grand Sport Vitesse at Monterey 2017. The second highest result at the RM Sotheby’s Paris 2018 sale was €2,001,875 paid for a 2005 Maserati MC12. The Maserati is an early production car of the 50 MC12s built and has covered only 12,500 km since new. The result was the second highest of the five Maserati MC12 cars sold at auction since 2015. Several others were offered for sale but failed to reach reserve margins, which made it brave to put the car on offer without reserve but a decision that paid off. A 1958 BMW 507 Roadster Series II sold for a solid €1,776,875 as the third highest result at the RM Sotheby’s Paris 2018 sale. This car had only two previous owners with the first owner only selling it in 2004. Remarkably, this 507 has been maintained since new by the same BMW-trained mechanic. 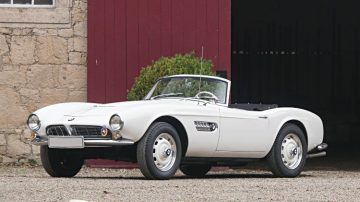 Although never restored, this BMW 507 is not fully authentic and had for example front disc brakes installed, as the original owner often used the car for her daily driving. A second Bugatti auction record was set at the RM Sotheby’s Paris 2018 sale when a 1993 Bugatti EB 110 Super Sport Prototype sold for €1,152,500 – more than $300,000 more than Artcurial achieved on two SS models at Paris 2016. The car was one of the first of only 36 EB 110 Super Sports built and was used a development prototype by the factory. In one of its early guises, it set a world speed record at 342,7 km/h. It was only sold out of Bugatti hands in 1997 and has covered only 3,300 km since new. 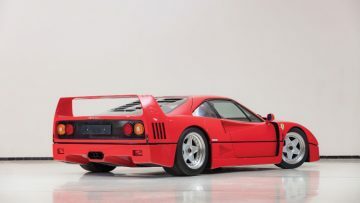 The 1992 Ferrari F40 was the surprise most-expensive Ferrari at the RM Sotheby’s Paris sale after the two top Ferraris failed to reach reserve margins. The unremarkable car achieved a fairly solid €933,125 ($1,150,000) – F40 results have been less reliably above a million dollar at recent auctions for higher mileage cars. The 1958 Triumph TR3A Works Monte Carlo Rally car at €184,000, by far the most valuable TR3 ever sold at auction. A meticulously restored, Classiche-certified 1962 Ferrari 250 GTE 2+2 Series III, which soared past its €430/470k estimate to €516,875. A 1988 RUF CTR Clubsport, believed to be the only example in Porsche RS Mint Green, which exceeded expectations at €348,125 (est. €275/325k). An Italian-delivery ‘Dealers Collection’ 1995 Delta HF Integrale EVO II at €161,000 (est. €90/120k). The 1977 BMW 633 CSi, owned by ABBA member Björn Ulvaeus, which reached €34,500 at the top end of its estimate. Too high reserve margins rather than a lack of interest seemed to have been the problem with most of these cars. If the highest bids for the Ferrari and McLaren were accepted, the results would have been more than decent and well within range of recent auction results. 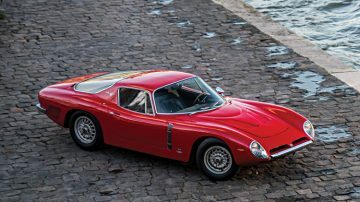 The near €2 million bid for the 1965 Iso Grifo A3/C was very high for an Iso but the seller clearly expected more for a prototype with a Johnny Hallyday connection. RM Sotheby’s Sotheby’s next classic car auction is at Amelia Island in Florida in March while its next European sale is in Monaco in May.